← Thanks to all my friends for 1014! On the 3rd of January my eldest son decided to do some agricultural work with my beloved Roadster. 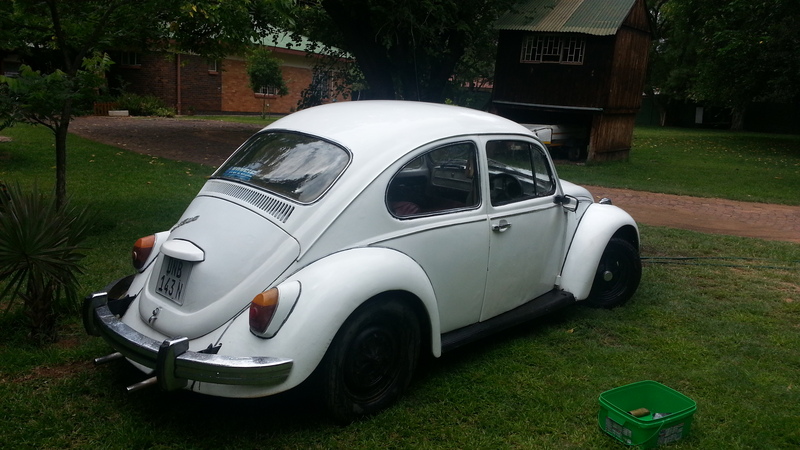 And then, three days later, on the way back from the farm where he is working, the Beetle died. 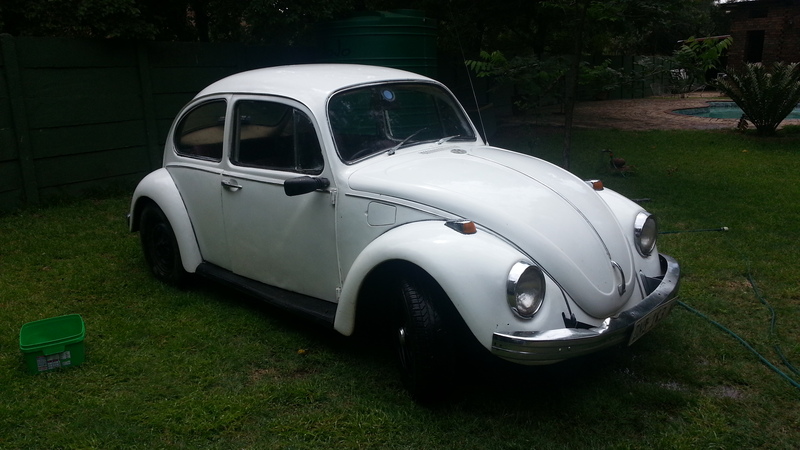 Yes, that Beetle that we spent so much time on restoring last year. The tappet covers are kept tight by a cork gasket on each side. And one of the cork gaskets just collapsed due to old age. All the oil blew out there, and then some bearings in the engine started breaking. The engine has this huge knocking noise. In the next day or two it will be collected, and so a memory will be gone… I have known this car all my life, and owned it since I was 18. It is now 47 years old. 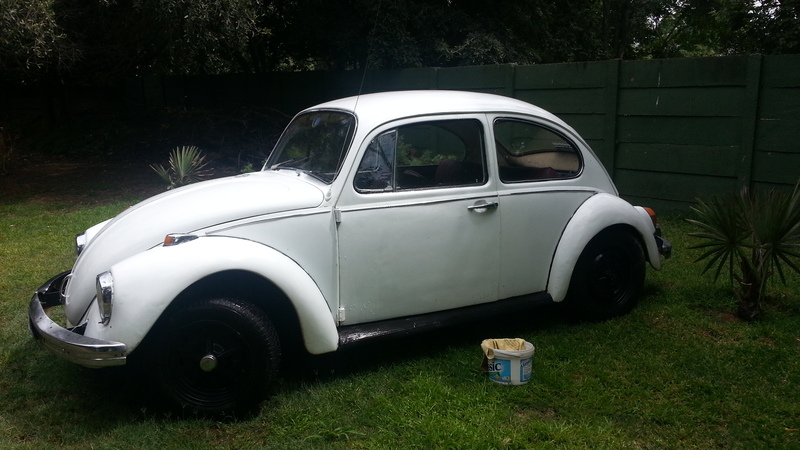 But the new owner does have the skill to restore it properly, and bring it back to life. I don’t. So- yes- two dreams have died this year- the one of me going on tour with my son on the bikes before he goes to the USA to work there for a year. And the dream of the Beetle doing a road trip into the sunset. 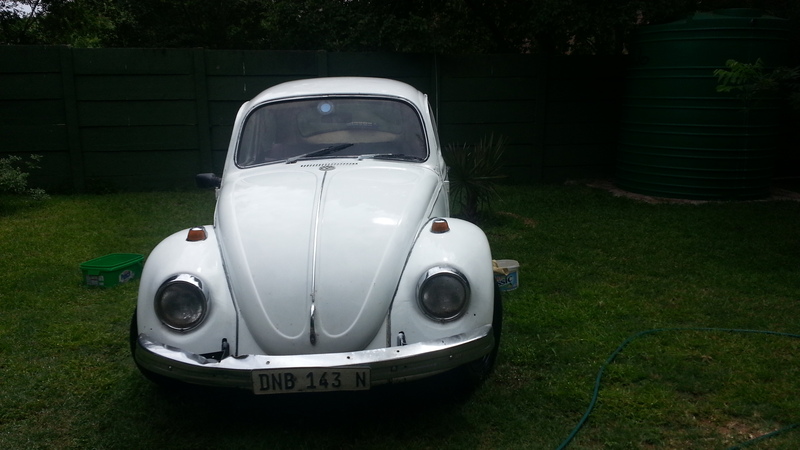 This entry was tagged blogging, BMW Motorbikes, Car Restoration, South Africa, VW Beetle. Bookmark the permalink. Ag shame swear!! Dis nie mooi as sulke dinge gebeur nie!! Gelukking het jou seun nie seer gekry nie! ‘n Hartseer oomblik vir almal in dieJager en Schmidt families. die Volla was lank deel van die familie, 47 jaar!! 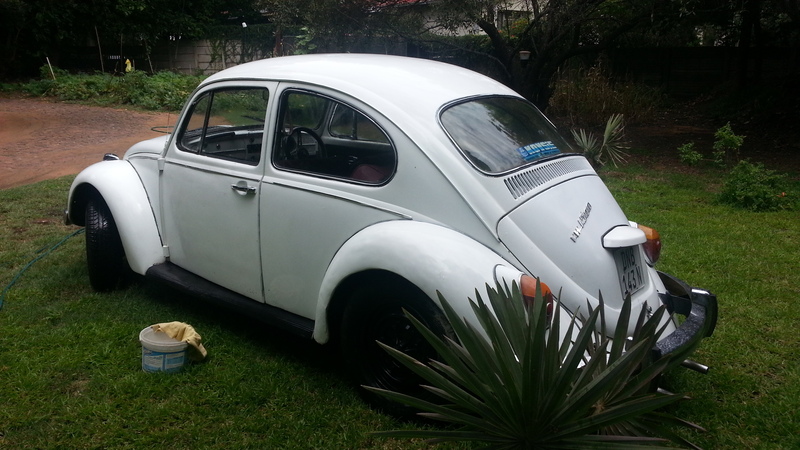 Goodbye Beetle. That must have been a hard decision. Ja – miskien is dit maar die beste om vorentoe te beur, en nie by die negatiewe agter vas te hak. Jammer oor jou 2 losses. Maar klink of jou nuwe jaar nuwe uitdagings bevat. Sterkte. But she did drive again, after all your loving work, that’s what matters, and your sons face on his birthday. Good news is you may see here again, reborn to drive another 47 years!